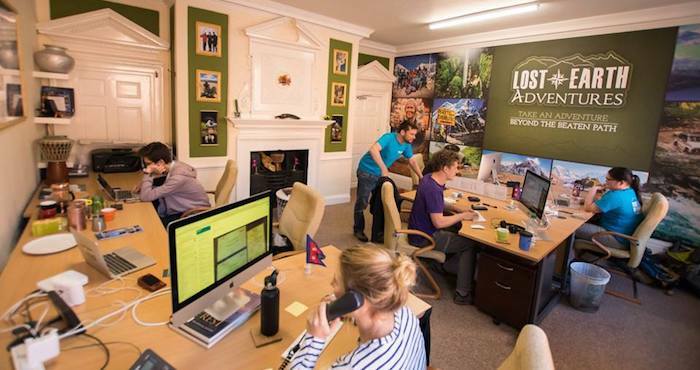 Lost Earth Adventures was founded by Richard and Sarah Goodey. An adventurous husband and wife duo, they’ve never been content with your typical sun, sand and beach holidays. In their years of travelling they have continuously gone in search of experiences that are more rewarding, challenging, inspiring and fun! Wanderlust and a continual quest for their next adventure have brought them to explore over 35 countries, across 5 continents. They have stayed with nomadic Berbers and trekked throughout the Saharan Desert, climbed the majestic peaks of the Himalaya, explored the Pakistan Karakoram’s, surfed in Central America, been invited into the homes of local Akha hunters, camped wild in the Australian Outback, canoed down icy Canadian rivers, dodged grizzly bears, swam with sharks, trekked up volcanoes and motorcycled throughout the entire Indian sub-continent. It is this mutual love for adventure and discovery that led the pair to create an outfitting company that was in line with their philosophy and mentality of travel. Richard and Sarah wanted to share their passion, knowledge and expertise, in hopes that they would inspire others to tread further and go farther. Sarah and Richard combined this ethos of travel with unique, authentic itineraries, active travel, cultural immersion and responsible, sustainable tours, and thus Lost Earth Adventures was born! Read more about Sarah, Richard and the rest of the Lost Earth Adventures team on our guide’s page.